Alex purchased his first Raspberry Pi in May 2012, after a BBC article caught his eye. Already teaching ICT at his son’s school, he was drawn to the idea of a $35 computer to aid the education of his ten-year-old students. Less than a month later, Alex started his website, RasPi.TV. The website allowed him to document his progress with the Raspberry Pi, and to curate an easy-to-use reference library for others. The RasPi.TV website is packed full of tutorials, reviews, and videos, all of which have the aim of helping newcomers and seasoned Raspberry Pi users to expand their skill set and interests. Alex’s YouTube channel boasts more than 8,000 subscribers, with viewing figures of well over 1.5 million across his 121 videos. In 2012, Alex began to build his own RasPiO boards, with the first releases making an appearance in March 2014. The GPIO labeller, Breakout, and Breakout Pro were successful across the community, earning an honourable mention on the official Raspberry Pi blog. The Pro has since been upgraded to the Pro HAT, while the labeller has been replaced with a newer 40-pin version. 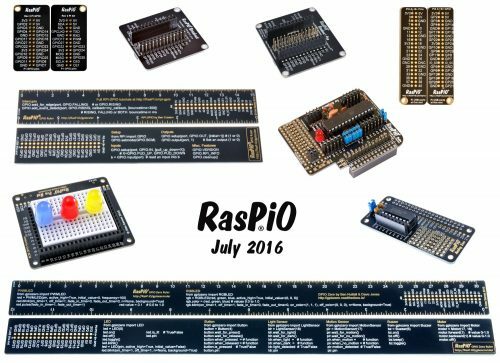 The RasPiO collection has now increased to ten different units, each available for direct purchase from the website. A few originally found their feet via successful crowdfunding campaigns. The RasPiO family is a series of add-on boards, port labellers, GPIO rulers, and tools to aid makers in building with the Raspberry Pi. The ruler, for example, offers GPIO pin reference for easy identification, along with a code reference for using the GPIO Zero library. 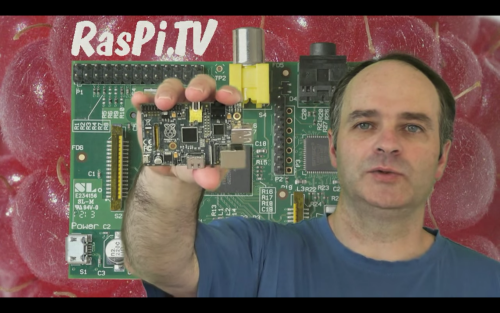 Even if you’ve yet to visit either RasPi.TV or Alex’s YouTube channel, the chances are that you’ve seen one aspect of his online contribution to the Raspberry Pi Community. 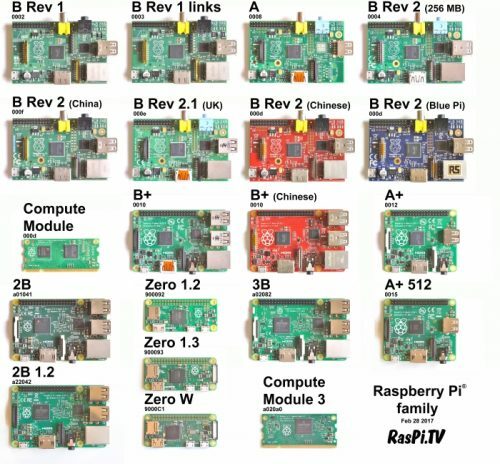 Alex maintains a Raspberry Pi ‘family photo’ on his website, showcasing every model built across the years. It’s a picture that often does the rounds of blogs, news articles, and social media. Outside of his life of Pi, Alex has a background in analytical chemistry, a profession that certainly explains his desire for the clean, precise, and well-tested tutorials that brought about the creation of RasPi.TV. From working as a translator to writing his own e-books, Alex is definitely well suited to the maker life, moving on from his past life of pharmaceutical development. such as video capture and upload. 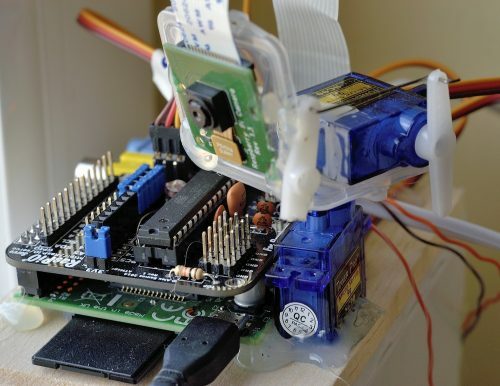 Using a Pi Model B, a RasPiO Duino, a Camera Module, and two servos, the unit can pan and tilt to survey the area. His tutorial and review videos on YouTube reach viewing figures in the thousands, with his popular Raspberry Pi DSI Display Launch video garnering close to 300,000 views at the time of writing of this article. While Alex has updated us on his newest unreleased projects and plans, we’ll keep them quiet for now. You’ll have to watch the RasPi.TV website for details. Note – Since writing this article, Alex has continued his work, producing new content to support the Raspberry Pi Zero W, while also releasing his newest crowdfunding campaign, RasPiO InsPiRing. I’ve relied on Alex’s tutorials and products for many of the projects I’ve build. When we were doing the podcast there was hardly an episode where Alex wasn’t mentioned for something he’d shared or done. Oh, and I’m super excited to get my Inspire Bundle from the current Kickstarter. Is that a collection of real Raspberry Pi’s that is shown? If so that is impressive! Yes it is. It’s most of the “consumer models” that pretty much anyone could have bought. I also collect other versions. I have a few rare ones that are hard to come by. I love his web site and have found it very useful many times. It is really nice to know more about his story and how he got where he is. Thanks and keep up the good work Alex. Nice article, and a very well deserved shout out. 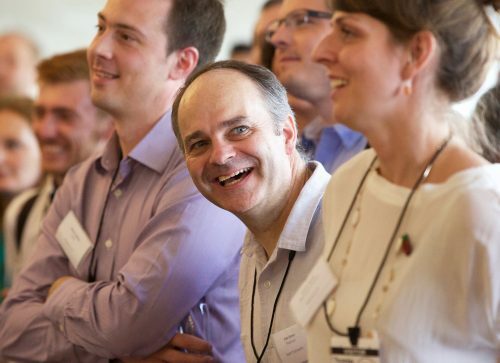 I first met Alex at Oxford’s Raspberry Jam, he was one of the founder members and always had ‘just one more thing…’ for the show and tell! Since then, his intrepid example is partly to blame for my starting up my own 3D printing business, and I regularly go back to RasPi.tv for Raspberry Pi coding tips! Great resource! The tutorials are so good! Thank you for your good articles. Christmas Special: The MagPi 52 is out now!